A problem with typical asphalt tennis courts is that the surface can become inflexible or brittle due to extreme changes in temperature or inclement weather conditions. Over time this can lead to cracks or fractures in the surface, which can make consistent play difficult. 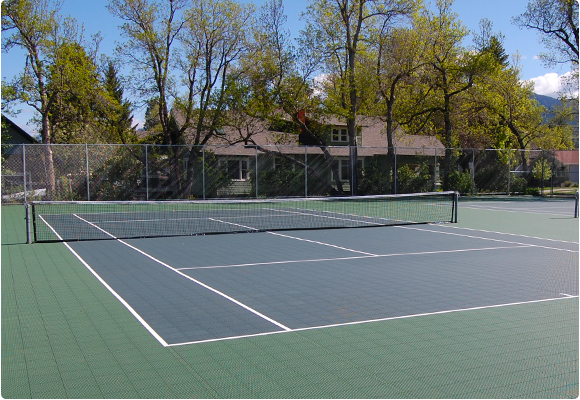 With our tile, you can easily resurface your tennis court and eliminate many of the ongoing hassles associated with maintaining traditional court surfaces. Plus, the suspended court tile system hides existing surface imperfections and cracks. 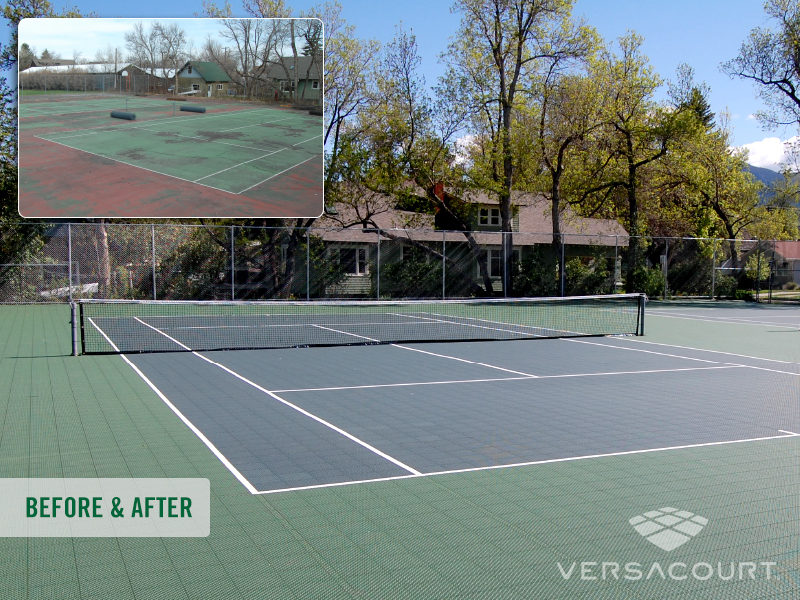 With our lifetime outdoor tile warranty, a VersaCourt surface is truly a great options for resurfacing tennis courts. 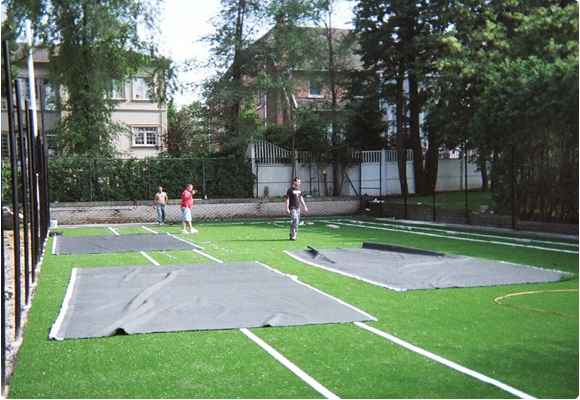 Not only can VersaCourt be installed over a new or existing surface, installation is a breeze. Our patented interlocking system allows our customers to quickly click and secure each tile into place. Included with each VersaCourt system are easy-to-follow instructions that make installation a hassle-free experience. With a few friends, you can build out a full size tennis court in a matter of hours. VersaCourt tennis courts are fracture-resistant and provide an exceptionally durable surface that stands up to harsh weather conditions and aggressive play. Made from a special blend of fiber, XGrass synthetic grass courts provide a safe, family friendly surface that brings tennis back to how it was played for the better part of a century. "Here at West Virginia University we had tennis courts that were cracked and had water pooling issues. We had tried other resurfacing products but were having to go back and resurface every couple years. What we were looking for was something that was cutting edge, would offer us a much longer life and be virtually maintenance free for many years to come. After researching our options we selected VersaCourt because it had features that would address these needs. With the assistance of one of VersaCourt's corporate installers, our own maintenance crews were able to install the product with minimal difficulty. It is a great product and looks outstanding, and our students love playing on it. 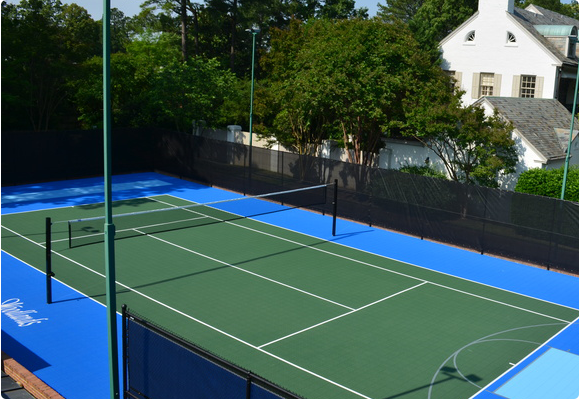 I highly recommend VersaCourt for the resurfacing of older courts."